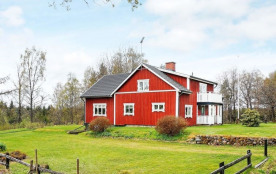 Welcome to this lovely holiday home set near Tomtabacken in Småland. The cottage is set by a little country road, opposite of the cottage where the owner lives. It has a large garden and a conservatory. The interior of the cottage is light and airy. The kitchen features a kitchen table and the basic amenities. The spacious living room is equipped with a TV and a sofa suite. There are two bedrooms, one with two single beds, the other with a double bed and a wood-burning stove. In the bathroom, you will find a WC, a washbasin, a shower, and a washing machine. The landlord has a pond in which you may fish once a week. If you want to fish in the nearby lakes, dont forget to buy a fishing permit! 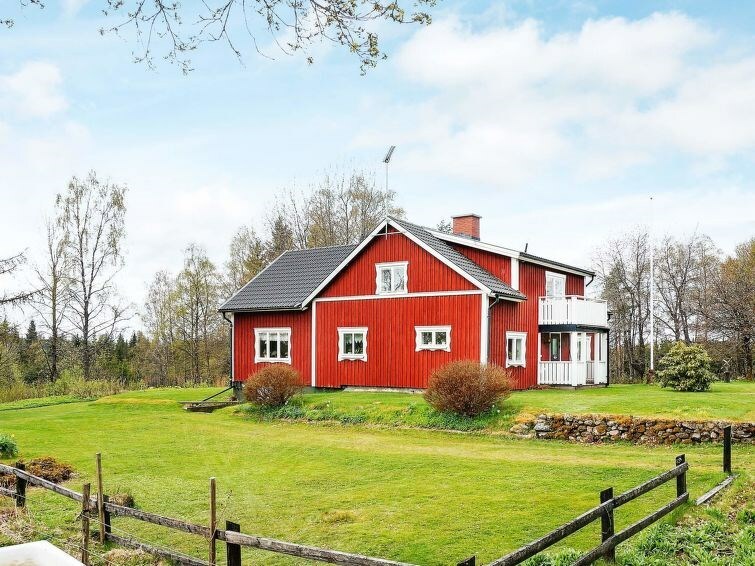 The cottage is surrounded by scenic nature and theres a beautiful hiking path, Smålandsleden, just a few kilometres away. The area offers plenty to see and do. Visit the elk park, Vrigstad Älgpark, which is 17 kilometres away! Or make a day trip to Boda Borg in Sävsjö, fun for people of all ages! If you enjoy golfing, you mustnt miss the 18-hole golf course, the restaurant, and the SPA at Hook Herrgård., only 27 kilometres away. The charming town of Vimmerby is 85 kilometres away. This area is the setting of many of Astrid Lindgrens beloved childrens books such as Emil of Lönneberga. The children will really enjoy Astrid Lindgrens World. Katthult and Bullerbyn are also close. Or why not take a daytrip to Mariannelund and find out how sweets were made in the olden days? Another great destination for a day trip is High Chaparral Adventure Park, 47 kilometres away. Sävsjö kommun - 4 pers.